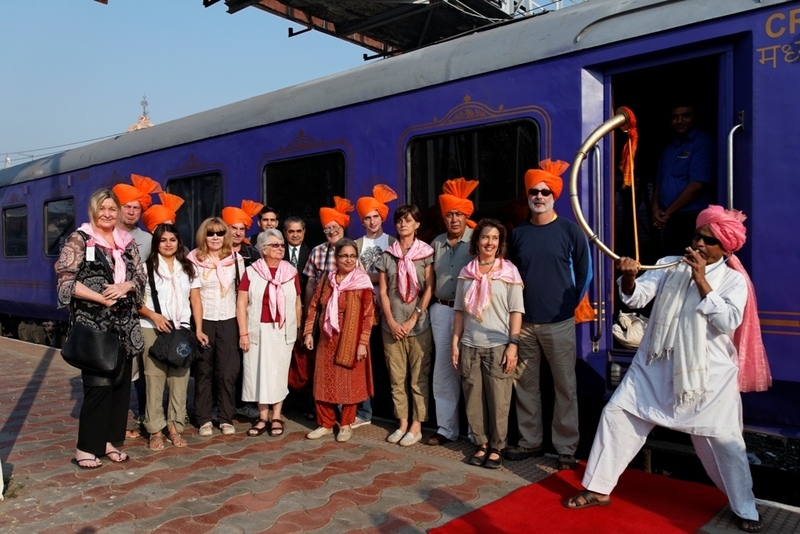 Deccan Odyssey is a luxurious and tourism train in India. It covers different famous and popular tourist itineraries of India. One of the famous tourist places that covered by Deccan Odyssey is the Jaipur. As we know Jaipur is a place for so many historic forts and old monuments. Among them, Hawa Mahal is a beautiful and watchable monument in Jaipur. 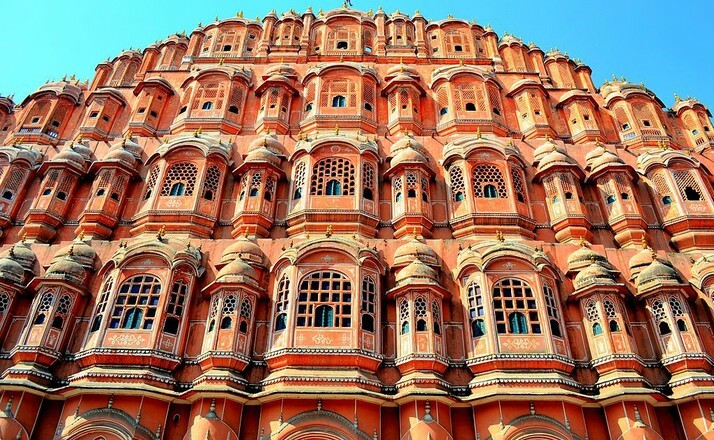 Let’s know about Hawa Mahal in detail from history to the attractions of the Mahal. Hawa Mahal is popularly known as “Palace of Winds” because of the cooling system with cool breezes from inner rooms even in summer. 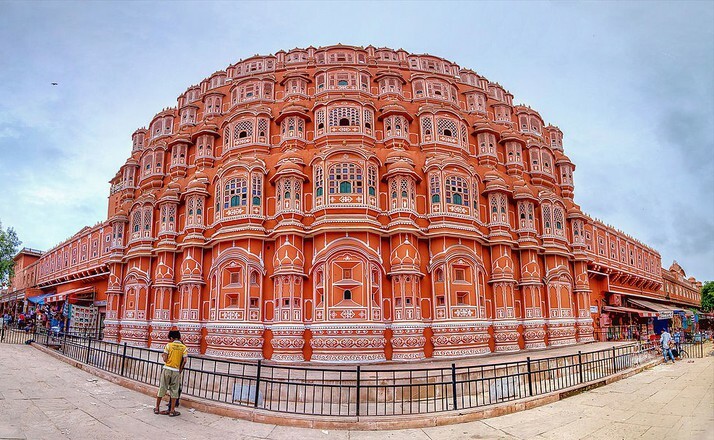 The architectural style of Hawa Mahal attract tourists in large number. Hawa Mahal was commissioned by Maharaja Sawai Pratap Singh in the year 1799. The architect of this monument was the Lal Chand Ustad. Maharaja Sawai Pratap Sing was a great devotee of Lord Krishna and ordered Lal Chand to built Hawa Mahal significant to Lord Krishna. That’s why the Mahal was constructed in the shape of Lord Krishna crown. Another major attraction of this Mahal is the exterior. The exterior of the Mahal resembles the structure of honeycomb of a beehive. Nearly 953 small windows were constructed and they are known as “Jharokhas”. Actually, this Mahal was the extension of City Palace and this one used by royal women of Rajput. As per the purdah system, Rajput women was not allowed to come out. So, they used to see the fairs, festivals, and the city from this Mahal. The other benefit of this Mahal is the cool breeze. Due to the latticework of the Mahal made the whole area of Mahal as air cooler even in summers. Due to this reason the name “Palace of winds” came to Hawa Mahal. This was the reason behind to construct Hawa Mahal. The major attraction of this Mahal is its architectural style. The architectural style of the Mahal depicts the glory and royalty of Rajputs. This Mahal is a five-storied building in a beehive structure. The outlook of Hawa Mahal is similar to the Lord Krishna’s crown. The architectural attractions of the Mahal are the beautiful carvings, arches, a mixture of pink and red stone building with white borders. 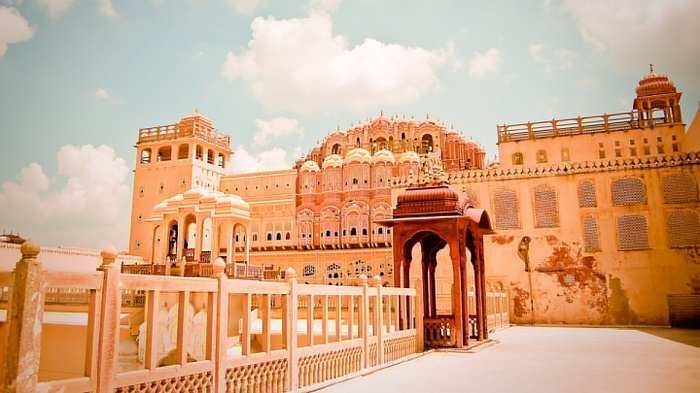 The architectural style of Hawa Mahal is a mixture of Islamic and Rajput style. The floral patterns, canopies, fluted pillars, lotus motifs etc are the beautiful architectural attractions of Hawa Mahal. In one word, this Mahal was built for Rajput women to see the city without coming out. That’s why this Mahal was beautifully carved and designed with different architectural styles. Totally, there are five stores among them three stores are famous for tourists. They are the Vichitra Mandir, Prakash Mandir, and the Hawa Mandir. Maharaja was a great devotee of Lord Krishna so he used Vichitra Mandir as prayer hall to praise Lord Krishna. The second store Prakash Mandir has open terraces on both sides. The interesting and attractive thing in this Mahal is there are no stairs for this five-storied Mahal. In the place of stairs, they use ramps which are easy to carry palanquins of royal ladies. Some other famous and attractive mandirs are Sharad Mandir and the Ratan Mandir. The Sharad Mandir was on the first floor which was used as Autumn celebrations. The Ratan Mandir on the second floor was famous for glass work in different colors. These are the attractions in different mandirs and stores of Hawa Mahal. There is also a museum which attracts a large number of tourists. This museum displays different weapons, antiques, and different things belong to Rajput rulers. The major architectural attraction of this Mahal is the latticework which makes the whole Mahal in cool breezes. The things to be done in Hawa Mahal are exploring the architectural style, visiting the museum, and other mandirs in the Mahal. Hawa Mahal is a beautiful architectural monument in Jaipur and also no other Mahal in Jaipur is similar to this. Different architectural skills entertain tourists and can experience the life of Rajput women in this Mahal. 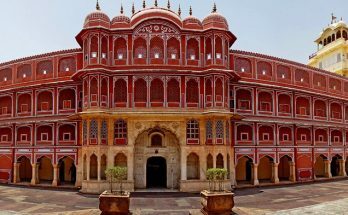 Visit the Museum of Hawa Mahal which displays the art facts of Rajput rulers and the region of Jaipur. The things to do near Hawa Mahal is visiting the nearby City Palace, Jantar Mantar, Ram Nivas Garden etc and Jaipur shopping. Different handicrafts, bags, footwear, clothes, jewelry etc are available in nearby stalls and shops. Tourists can enjoy a beautiful day in Hawa Mahal with a beautiful experience. The best time to visit Hawa Mahal is in between September to February. During these months the temperature will be comfortable and ideal for visiting. The time required to round up this Mahal is nearly one to two hours. For the clear and neat explanation hire a local guide. The best time to visit this Mahal during the morning. The morning sunlight falls on the structure and it lights up in Golden color. Hawa Mahal is located near Badi Chaupar and City Palace complex at the center of Jaipur city. Tourists can easily reached by regular buses, taxis or cars and auto-rickshaws. Bus stop at J.D.A market offers buses to Hawa Mahal frequently and Jaipur Darshan buses also take you to Hawa Mahal. There will be no problem on transportation because it is center of the city and it is well connected to nearby International airport and railway stations. 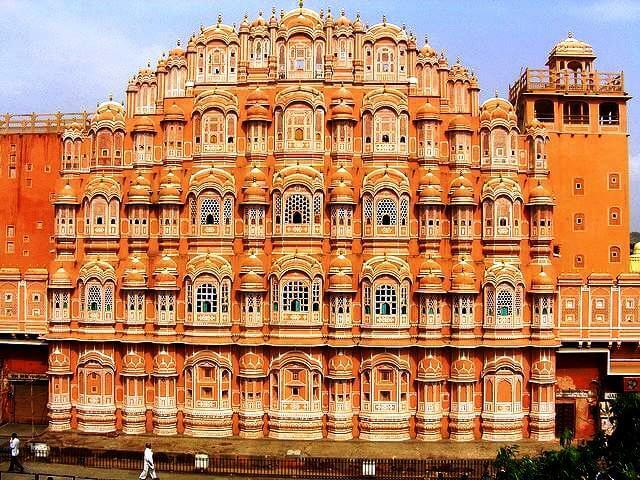 Hawa Mahal will be opened from 9 AM to 4:30 PM in all days within a week. Entry fees are 50 Rs for Indians and 200 Rs for Foreigners. The camera charges are 10 Rs for Indians and 30 Rs for Foreigners. The composite ticket is also available for tourists. This ticket is valid for two days and tourists can visit all nearby attractions like City Palace, Jantar Mantar, Ram Nivas Garden etc with this ticket. Charges of this ticket are 300 Rs for Indians and 1000 Rs for Foreigners. These are the reasons and history behind Hawa Mahal which attract a large number of tourists to visit Rajasthan. Tour to Hawa Mahal with Deccan Odyssey will give the best experience in your traveled journeys.